In the clouds. 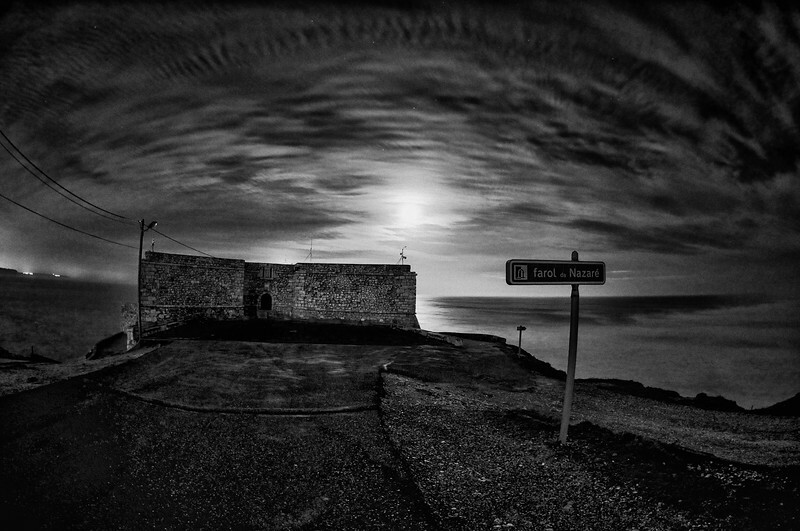 B&W Edition. 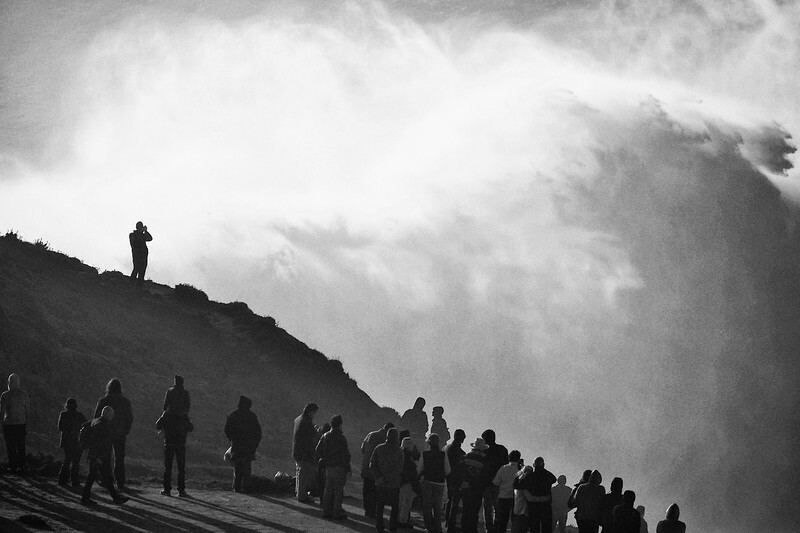 It's just so powerful, the spray and the white water of the waves come close to the people that coming to view this unique show of natural energy, the cliff of Praia do Norte, Nazaré has nearly 100 meters height, imagine it live and in color. "The Nazaré Canyon is an undersea canyon just off the coast of Nazaré, Portugal. 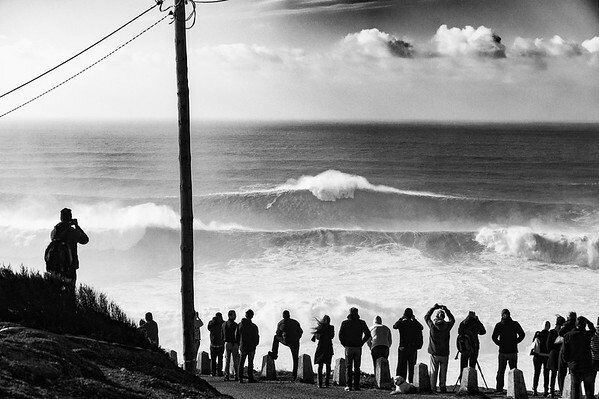 The Nazare Canyon causes very high breaking waves. 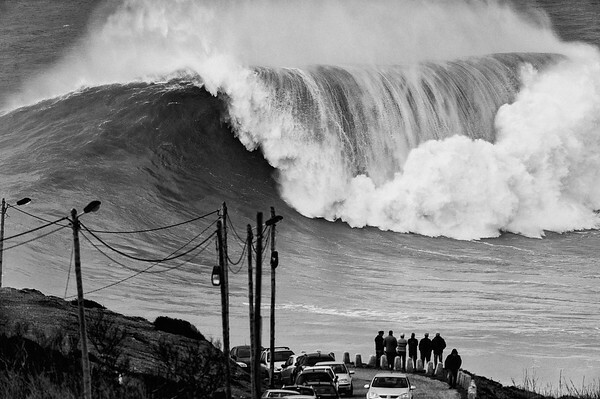 This makes Nazare a hotspot for big wave surfing. In November 2011, Hawaiian surfer Garrett McNamara surfed a record breaking giant wave: 78 feet (24 m) from trough to crest, at Nazaré. 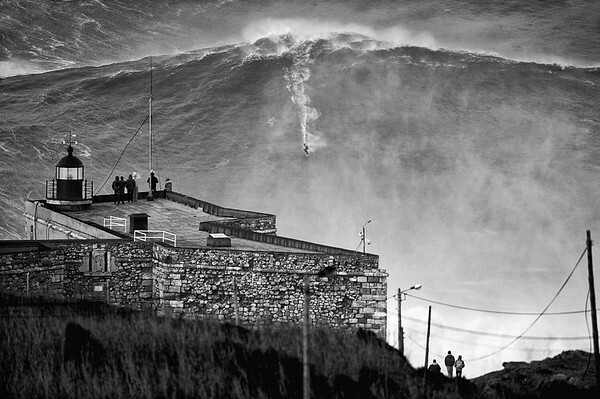 In January 2013 it was reported that he successfully rode a wave measuring a maximum estimate of 100 feet (30 m) at the same location and possibly exceeding the size of his previous record-breaking wave."